Gold nuts! Tell me what is happening! 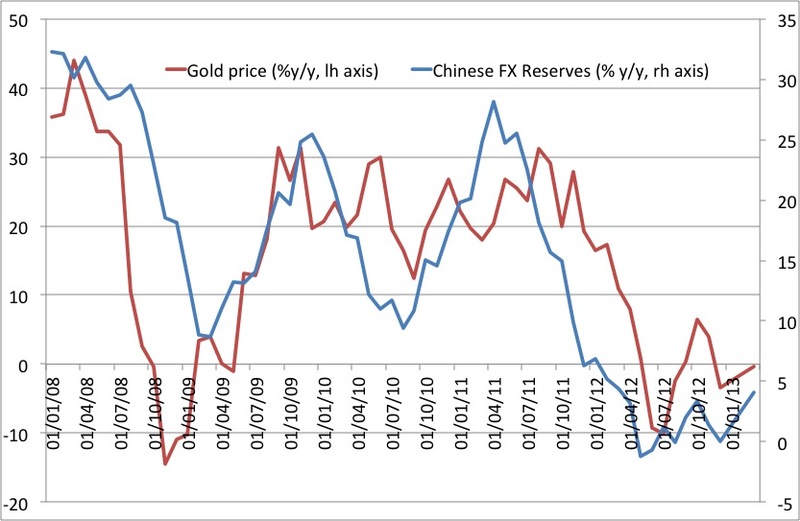 Gold prices continue to decline. Therefore I ask all of you internet Austrians and gold bugs out there who think that we are heading for hyperinflation what the hell is the reason for the drop in gold prices? I thought you told us that we where going to have hyperinflation? And while we are at it could you (other) people who are telling us that commodity prices are driven up by “evil speculators” tell me if these speculators now have decided that commodity prices should drop?